I was going for the nice family photo. You know, the one that gets put on the holiday card. I guess I should have explained that. The boys were having a none-of-that moment. Goofing with every take until I finally gave in (in my own little way). It’s not often that we are ALL together like this — me and my three sons. 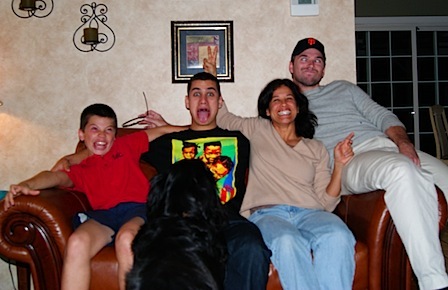 So, here is the family, goof ballin’ — ‘cuz that’s just how it is.